We have the best resources to find you affordable North Carolina Truck Insurance. Same day quote & bind available statewide 1 truck to fleets. North Carolina Truck Insurance Brokers. Buy today and get proof of coverage (828) 447-0036. We offer affordable North Carolina Truck Insurance for one operator new startup up to established large fleets of trucks in all NC towns. Some of our major areas that we have great success in are Charlotte, Raleigh, Greensboro, Durham, Winston Salem, Fayettville, Cary, Wilmington, High Point, Greenville and Asheville. 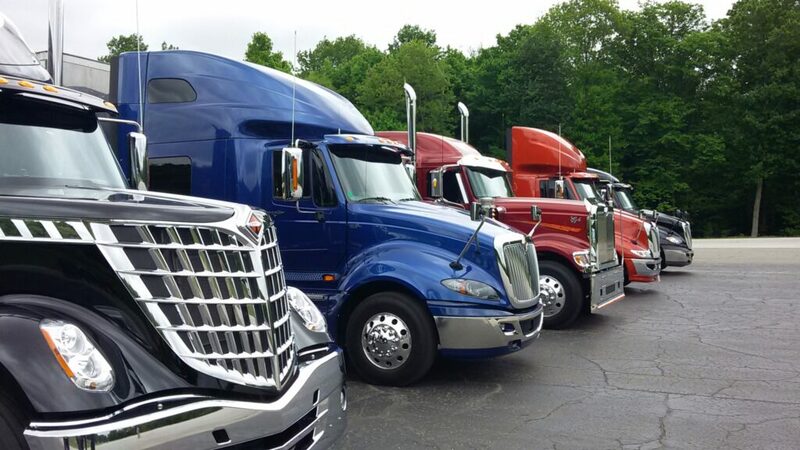 With 32 years of experience, we can help you find affordable NC Truck Insurance for your tractor trailer operation, plumbing business, contractor operations, HVAC services, straight or box trucks, grading and excavating or auto hauling, just to name a few. Our North Carolina Truck Insurance Carriers use the CAB Report to verify crucial rate-making decisions. The CAB Submission Report, available exclusively to CAB Premium Subscribers, is the industry source for the most comprehensive information on any individual motor carrier with the most up to date information regarding a motor carrier’s safety, finances and overall operations. The information contained within the report is aggregated from various government and proprietary data sources including CAB, SAFER, SAFETSTAT and the Licensing and Insurance databases. With the use of the CAB Submission Report, an underwriter has access to the necessary information to make an informed choice on whether an account meets the appetite of the underwriter. Easy to read charts and key focal points allow an underwriter to analyze a risk without reviewing additional source material. In order to enhance the underwriter’s review of the report, the underwriter is immediately directed to an alert section that highlights all of the items that might be problematic. This allows the underwriter to focus quickly on items which should be of immediate concern. operated, and most importantly, recent violations cited to the carrier. In addition to the basic SAFER info, the CAB Report goes back 36 months instead of 24, so underwriters are able to get a true understanding of the states the insured travels to, a detailed inspection and accident section. Organized by VIN number, the report allows the underwriter to see a complete list of each vehicle’s inspection and accident history with all associated violations, and a list of shippers the insured get’s loads from. As the precompiled data found on various government web sites is often inconsistent or incorrect, CAB has created programs to analyze the raw data and provide a true reflection of the insured’s operations. These programs allow underwriters to profile motor carriers in a way never before offered, and simultaneously eliminate much of the error and oversight caused by manual research. We write NC truck insurance and commercial auto insurance in the following counties in North Carolina. Alamance | Alexander | Alleghany | Anson | Ashe | Avery | Beaufort | Bertie | Bladen | Brunswick | Buncombe | Burke | Cabarrus | Caldwell | Camden | Carteret | Caswell | Catawba | Chatham | Cherokee | Chowan | Clay | Cleveland | Columbus | Craven | Cumberland | Currituck | Dare | Davidson | Davie | Duplin | Durham | Edgecombe | Forsyth | Franklin | Gaston | Gates | Graham | Granville | Greene | Guilford | Halifax | Harnett | Haywood | Henderson | Hertford | Hoke | Hyde | Iredell | Jackson | Johnston | Jones | Lee | Lenoir | Lincoln | Macon | Madison | Martin | McDowell | Mecklenburg | Mitchell | Montgomery | Moore | Nash | New Hanover | Northampton | Onslow | Orange | Pamlico | Pasquotank | Pender | Perquimans | Person | Pitt | Polk | Randolph | Richmond | Robeson | Rockingham | Rowan | Rutherford | Sampson | Scotland | Stanly | Stokes | Surry | Swain | Transylvania | Tyrrell | Union | Vance | Wake | Warren | Washington | Watauga | Wayne | Wilkes | Wilson | Yadkin | Yancey. Protecting your company is critical to your success, public safety and the entire NC economy. North Carolina Truck Insurance Brokers proudly offer Berkshire Hathaway Homestate Commercial Auto & Property Insurance, National Indemnity Insurance Company and Progressive Commercial Truck Insurance to our customers. NC Progressive Policy Login Or text PROG to 99354 to get a download link on your phone. We specialize in coverage in NC, SC & GA for the following.